Where are the unillumined minds? Nowhere! Where are minds that have only an intellectual understanding of Truth? Nowhere! Where are the dualistic minds believing in a presence and power other than God? Nowhere! At one time, we all believed that mind was a personal possession. We spoke of “my mind,” “her mind,” a “child’s mind,” etc. We even believed that God had a mind, albeit a sort of super mind. However, these personal minds are not Mind. They are to Mind as Monopoly money is to real money, equally useless for day-to-day living. Mind is God, and God is Mind – infinite, impersonal and universal. Mind is Omnipresent, but this means zilch until you consider what Mind knows. And what Mind knows requires just two words: I AM. I AM is the Universal Fact of Existence, and Existence unceasingly revels in this Fact. Isn’t it a joy to know that you don’t have a mind, but that you are Mind? Isn’t it thrilling to realize you are Infinite Mind knowing Itself to be all there is? It’s a relief, isn’t it, to know that Mind is impersonal, to know you don’t have to spend a lifetime trying to enlighten a personal mind? The struggle is over. You and I can relax in the enjoyment of Illumined Awareness. Reader. You know the Truth, and you know that you are free from every seeming illusion. Of all the omnis, you’ve probably read, said, and heard these two the most: omnipresence and omnipotence. One woman looked at me with pleading eyes and said, “Allen, you’ve got to come up with a new way of getting these ideas across. I can’t listen to one more omni-anything.” It’s a fact that when spiritual writers start writing about God, we bang away at these two omnis. So let’s move on to the most ignored, and perhaps the most important of all the omnis: OMNIEVIDENCE. This word excites me! Say it to yourself a few times. By the end of this article, just a mental glance at the word Omnievidence will be more satisfying than a slice of mile-high apple pie topped with honey-bourbon caramel swirls. Years ago, I noticed something interesting in a book by Emma Curtis Hopkins. (You have no idea how many letters I have in a box from people trying to convince me that I am the reincarnation of E.C. Hopkins.) In this book, Ms. Hopkins etymologically deconstructs the word omnipresence. To illustrate the breakdown, I am going to use the word Omnievidence. Look at “Ni.” It sits securely and comfortably—almost smugly—between Om and Evidence. Did you figure out the breakdown? Here it is: THERE IS NOTHING (NO THING) BETWEEN THE ALLNESS AND THE EVIDENCE OF GOD’S PRESENCE. Reader. Haven’t you heard someone say, “Yes, I know all of that, but I just don’t see the evidence of it?” Don’t believe it! There is no person, place, condition or thing between God’s allness and God’s evidence. There is only One Presence. There is only One Evidence. Every application of Truth is a denial of Truth. 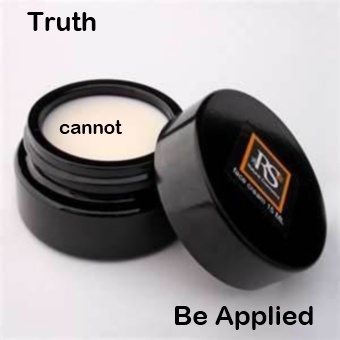 To “apply” Truth means to have a condition, state, circumstance or thing to apply It to. That means that you are starting out with a problem. The moment you attempt to apply Truth in order to correct, heal, change, alleviate or in some way subjugate a problem, you have forsaken Truth, denied It–you have rejected Spirit; you have started with a problem that is not true. To begin by denying Reality at the outset is to be prodigal, and whatever, purportedly, is done as a prodigal is a denial, a complete ignoring and evasion of Truth. One cannot “apply” Reality. One does not get Truth out of a jar. It does not come as a cold cream. 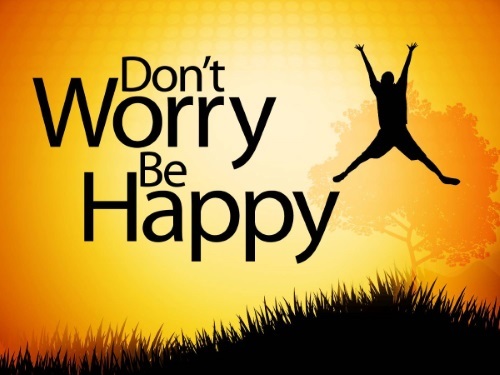 It does not come, as some seem to think, canned and with directions as to how much to spray on your troubles. It is not something that you can brush on, or a liquid that you can bathe in. Truth is who and what you are. It is Reality Itself; It is Omnipresence Itself; It is Truth, Itself, being…There is no other life, there is no other Existence, there is no other Being.